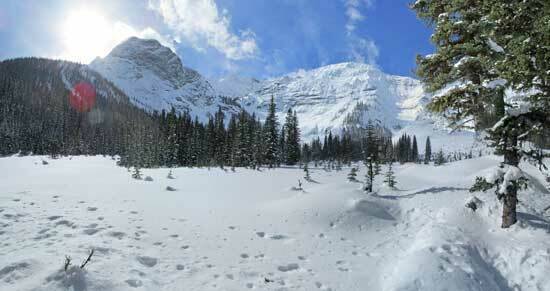 This winter we’ve gone on loads of snowshoe trips, this past Sunday was our favourite. I mean—it wasn’t Castle mountain (16 k hike with a vertical rise of 700 metres—hoo-ha! ), It was an easy 5 K hike. The enjoyable parts were the 100 metre vertical rise right at the beginning of the hike, and a good third of the hike was bushwhacking—not following a trail at all—deep snow trekking. This trail was the Black Prince trail, another trail close by was the Burstall pass.